You must be a member of the Geneva Yoga Spirit Group to attend this activity. Would you like to join this group? This will be a dynamic intense and challenging yoga class, following the Jivamukti method. It will adapt to the level of the participants. 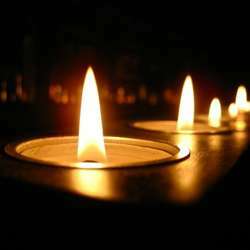 We will practice by candlelight and end with a guided meditation. Mats & props are available at the studio, you are welcome to bring your own mat.